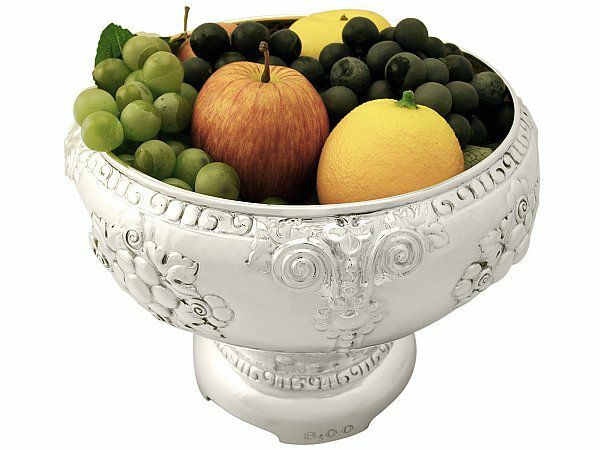 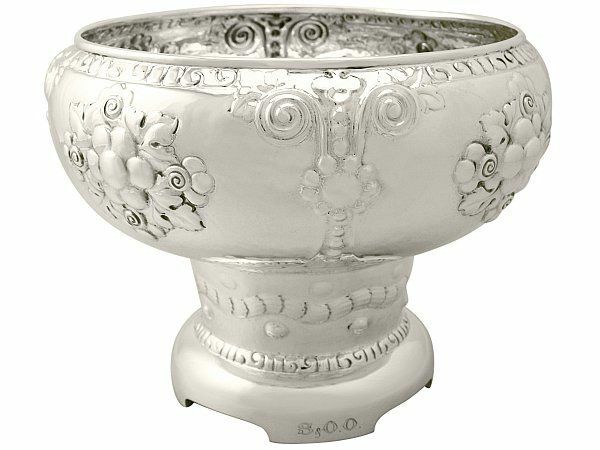 This exceptional antique Norwegian silver bowl has a circular rounded form onto a cylindrical pedestal and circular rounded base. 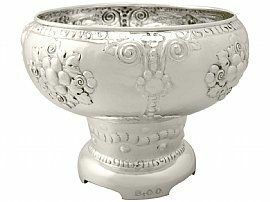 The body of this bowl embellished with impressive embossed and chased stylised floral and leaf decoration bordered with bead and scroll designs. 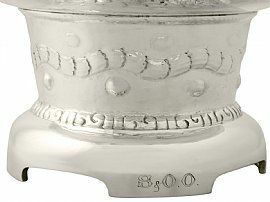 The cylindrical pedestal is encircled with an undulating band of embossed and chased decoration flanked with a large bead motif to each incurve. 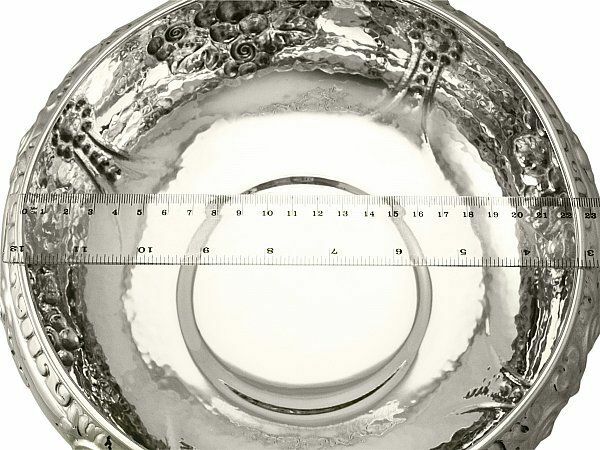 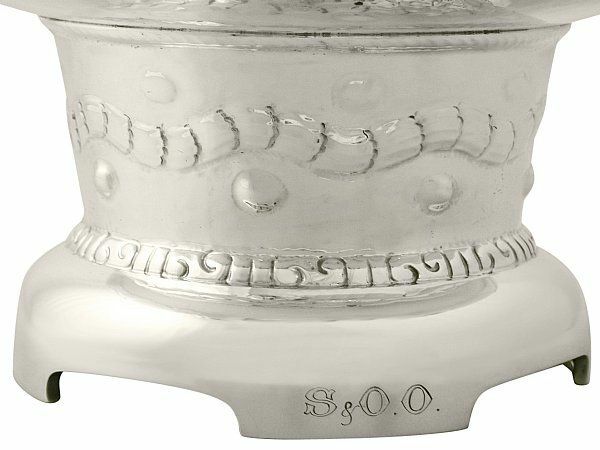 The plain base of this impressive Norwegian silver bowl incorporates four bracket style feet embellished with the contemporary engraved initials 'O.O' to one foot, and the date '˜7-10-16' to another. 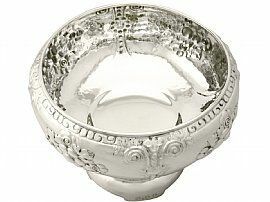 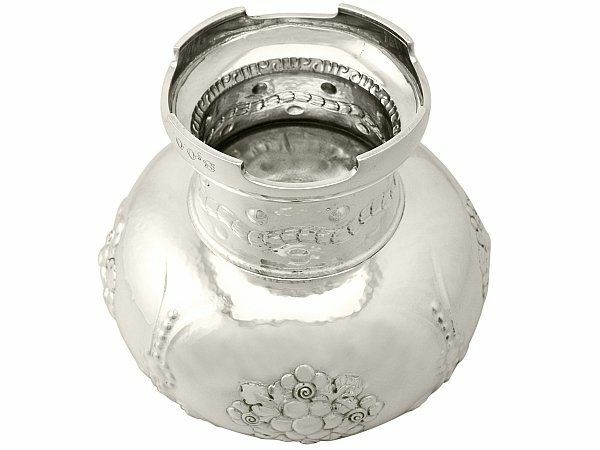 This antique Norwegian bowl is a excellent gauge of silver, excellent quality and in excellent condition. 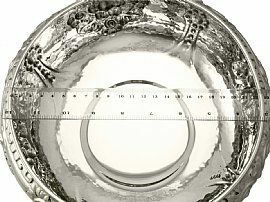 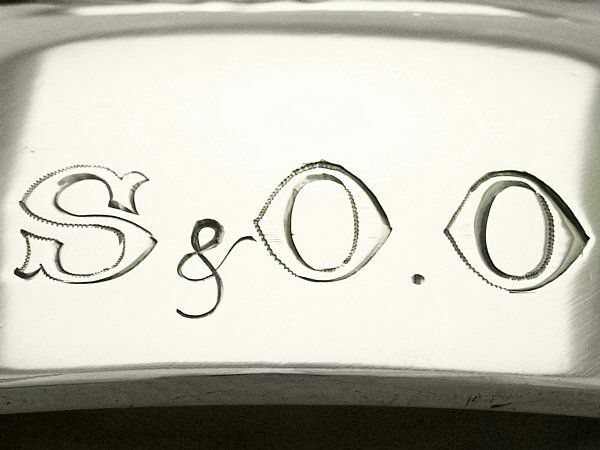 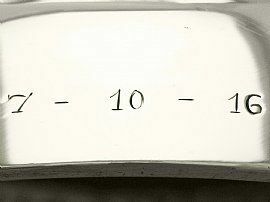 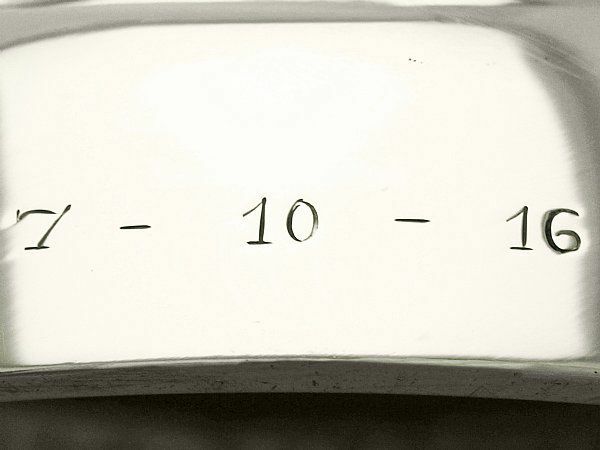 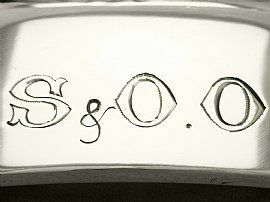 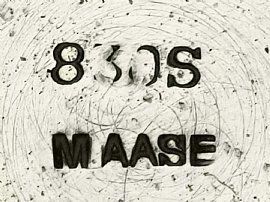 The maker's mark and purity hallmark struck to the underside of the bowl are all very clear.